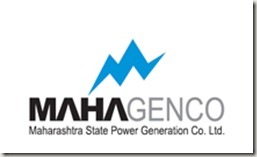 MAHAGENCO Maharashtra State Power Generation Company Limited | Govt. Jobs | 444 Jr. Engineer Recruitment | Apply Online Up to: 16th September, 2012. BE/ BTECH (Electrical/ Mechanical/ Electronics/ Instrumentation) required in Maharashtra State Power Generation Company Limited. Educational Background: BE/ BTECH (Electrical/ Mechanical/ Electronics/ Instrumentation) from a recognized University. Posted in Apply online, Electrical, Electrical & Power, Electronics and Communication, Electronics and Telecommunication, Government Job, Industrial, Job After Btech, Manufacturing, Mechanical, Power Engineering, Production, Thermal, Without Experience. Tags: 2012, 444 Jr. Engineer, Apply Online Up to: 16th September, Govt. jobs, MAHAGENCO, Maharashtra State Power Generation Company Limited, recruitment on August 23, 2012 by kavita joshi.